Sen. Steve Daines during a "town hall" call about wildfires, September 13, 2017. Last night Senator Steve Daines held what he calls a “tele-townhall,” one of the periodic conference calls he invites Montanans to join, in which he takes a few questions from callers. This one was also live streamed on his Facebook page. The topic was forest management and wildfires. Senator Daines said Montanans are angry about the fires and smoke they've been enduring this summer, and placed the blame for the fires on, "Radical environmentalists, who are blocking projects to remove dead trees, even in some cases, trees, lodgepoles, that died from insect infestation," Daines said. "We have radical environmental groups that do not represent the vast majority of Montanans, who believe in a balanced, common sense approach. They stop these projects." As he's done before, Daines offered the Stonewall project outside Lincoln as an example of a logging project proposed by the U.S. Forest Service that could have reduced fire danger, had it not been stopped by a lawsuit. The Alliance for the Wild Rockies sued to stop the Stonewall, which was proposed for an area now being partially consumed by the 18,000-acre Park Creek Fire. "The environmentalists are not responsible for that fire burning, and had the Stonewall project advanced, it's very likely that the site would be burning today," says Andrew Larson. He's not an environmental activist. He's an associate professor of forest ecology in the forestry college at the University of Montana. "As an ecologist, as someone — I'm trained as a forester — I would expect and hope that that forest, that hypothetical treated forest, would burn. Because that's what it needs to function, to be a healthy forest ecosystem. 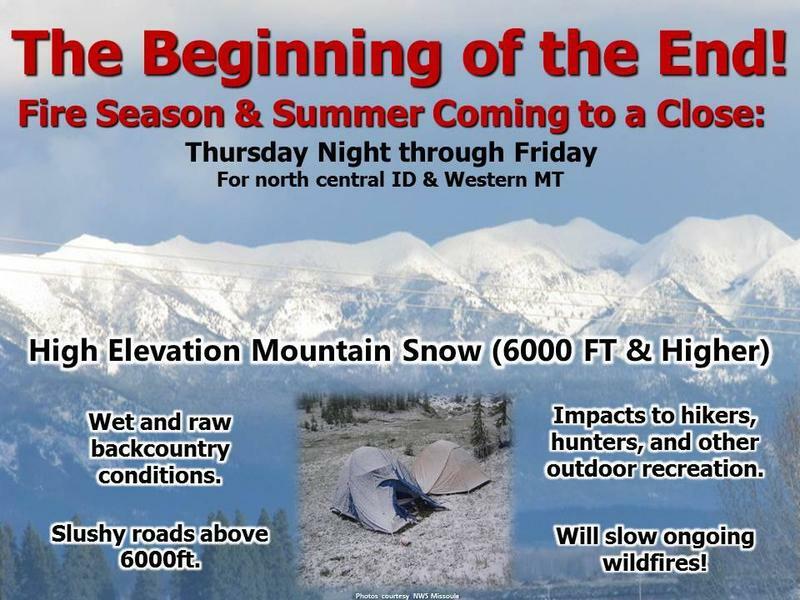 Montana forests are only going to function when they have fire in them. That's a healthy forest," Larson said. I listened to Senator Daines' conference call with Larson, who said he detected a change in the senator's comments about wildfires. Daines has been saying that more logging would prevent forest fires. Last night he said more logging and forest management won't entirely eliminate fire from the landscape, but will reduce risks from and severity of wildfires. "I really was pleased to hear him say that. That's, I think, a really important incorporation of some forest ecology, fire ecology knowledge into the types of things he's saying," Larson said. "However, the entire conversation tonight on the tele-townhall mingled them, sometimes explicitly. More often there was the implication that, if we do more logging, more vegetation management, more thinning, we won't have as many acres burned, and we won't be breathing as much smoke; and that's just absolutely not true," Larson said. "What we might be able to achieve with a more active vegetation management program are areas that don't burn with as high a severity, we also might have safer working environments for fire managers." Larson acknowledged that it may seem counterintuitive that not removing vegetation from forests will have no impact the number of acres that burn in a given year, or the amount of smoke, but, "The total biomass that's consumed might be less, but the only time you do not have enough fuel to carry a fire is going to be in the first year or two after a fire has burned," he said. "Even after you go and thin a forest, when it's dry like it is now, it's still going to carry a fire, it's still going to generate smoke. So, in terms of day to day life, the experience we have during the fire season, we need to not get our hopes up," Larson says. "You can anticipate more smoke. Even if we were to double, triple, increase the amount of area logged or thinned by a factor of ten or 20, we're still going have smoke, we're not going to stop the fires. We may change how they burn, and that's an important outcome, it's something that a lot of my research is directed at. But we need to make sure people don't get their hopes up and expect something that the forestry profession, that managers in the Forest Service, the Department of Interior, can't deliver on." A woman identified as Patricia from Ft. Benton, was one of the eight callers who were able to speak to Senator Daines last night. She asked about trees killed by pine beetles. "And I was troubled, because I couldn't understand why those trees were remaining, because they are a fire hazard, they are dead trees, so there is no reason for them to remain." Daines agreed, and said only, “radical environmentalists” would try to stop efforts to remove dead trees from Montana forests. "That's an attitude that I'm always kind of disappointed to encounter," Larson said, "because a healthy forest has dead trees and dead wood. The snags — standing dead trees — and dead logs are some of the most important habitat features for biodiversity. You can't have an intact, healthy wildlife community without dead wood in your forest." "One of the problems is, 'healthy' doesn't have a scientific definition," Larson said, "so, when we come at it from a technical perspective, it can mean whatever we want it to mean. Some of the most intensively managed forests in the world are in Northern Europe, and they are in a biodiversity crisis, because they have mismanaged their dead wood. They never let their trees get old, they never let 'em die. They cut 'em down and take them to the mill, and there is a horrible deficit of dead wood in those forests. And as a consequence, they're compromised, they're not functioning, they're not providing the habitat for all the native biodiversity, the native wildlife species. I asked Professor Larson what he thinks is important for Montanans who listened to Senator Daines' conference call to keep in mind. "My main points are, climate and weather drive fire. Healthy forests have to have dead trees in them. That's not saying that we can't cut some of the dead trees down. But you can't have a functional forest without dead trees, they're incredibly important for habitat," Larson said. "And the forestry profession, we need to be careful to not promise things that we can't deliver," he said. "And we're never going to stop fire. We can help society live with fire, but that's going to be a big team effort. We have to change our expectations. We need to expect that fire to come at some point, and not be surprised. We need to be planning for it — individual land owners, home owners — because that's the environment we live in." You can view a video of the “tele-townhall” Senator Steve Daines' hosted last night on his Facebook page. "I don’t know where it was, but the other day I saw one of my mother’s silver cups," says Jackie Stermitz. "I see a cup over there! Ohhh – I’d almost rather not see this stuff, to be honest, because it’s all broken up." Jackie Stermitz spent seven years in her home that was built into the hillside in the upper reaches of the Macintosh Manor subdivision near Florence. On August 17, the raging Lolo Peak fire reduced it and a neighbor’s home to rubble. This was the second driest summer on record in Montana, but meteorologists say rain is finally on the way. Since July, the state has seen towns threatened by wildfires and choked with smoke, crops getting killed by drought and grass fires destroying rangeland. But a cold and rainy system entering Montana Thursday could put at least a temporary end to the suffering. Two extraordinary things happened at the incident command post for the Lolo Peak Fire Thursday. One, it rained a little. The National Weather Service said .01 inches of precipitation came down mid-day. Two, a pair of cabinet secretaries, a U.S. Senator, and Montana’s congressman visited. U.S. Agriculture Secretary Sonny Perdue was in Great Falls Thursday for an “agriculture summit” hosted by Senator Steve Daines. Perdue promised big changes at the U.S. Forest Service, which his department oversees.